1956 Minamata disease was first discovered in Minamata city in 1956. 1949 Germany was split into the East and West. *Bush and Gorbachev declared an end to the Cold War. 1963 John F. Kennedy was killed. 1993 Nelson Mandela and F. W. de Klerk won the Nobel Peace Prize. 1994 Nelson Mandela became President with South African general election. 2002 Euro entered into circulation. 1992 PKO(Peacekeeping operations) law was passed. 2004 The Japan Self-Defense Forces was sent to Iraq. 2009 Barack Obama became The 44th President of the US. *1946 Aizawa Tadahiro discovered the Iwazyuku - iseki. The Japanese Islands was created. *1877 Edward Morse discovered the Ōmori shell mound. 57 King of Na received gold seal from Emperor Guangwu of Han. 239 Himiko send envoy to Kingdom Wei and received gold seal. *1884 Arisaka Shōzō discovered Yayoi pottery. 391 Wakoku battled against Goguryeo. 478 Waobu delivered Johyobun to Sung. *according to Wakoku Den "Sung Shu"
587 Soga no Umako killed Mononobe no Moriya. 592 Emperor Sushun was killed by Soga no Umako. 593 Price Shōtoku was appointed as Sesshō by Empress Suiko, his aunt. 603 Prince Shōtoku established the Twelve Level Cap and Rank System. 604 Prince Shōtoku established the 17-article constitution. 667 Emperor Tenji moved the capital to Nagaoka-kyō. Prince Ōama defeated Prince Ōtomo. 683 The Emperor Tenmu issued Fuhonsen coin. 694 Empress Jitō moved the capital to Fujiwara-kyō. 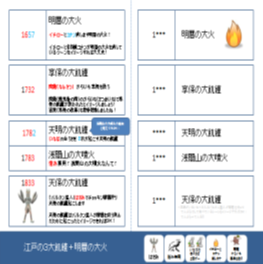 701 Emperor Monmu established Taihō Code legal system. 708 Empress Genmei issued Wadōkaichin. *It is the oldest official Japanese coinage. 710	Empress Genmei moved the capital to Heijō-kyō. 712	The Kojiki(The Records of Ancient Matters) was composed by Ō no Yasumaro. 713	Empress Genmei ordered to edit Fudoki (records of the culture and geography). 718	Fujiwara no Fuhito compiled the Yōrō Code. 720	Nihon Shoki(Chronicles of Japan) was composed by Prince Toneri. 741	The Emperor Shomu issued a Mikotonori for the construction of Kokubun-ji Temple and Kokubun-niji Temple. 743	Emperor Shomu issued the decree to construct the Great Buddha. 752	The Great Buddha of Nara at Tōdai-ji was completed. 754	Priest Ganjin arrived from China. Man'yōshū(Collection of Ten Thousand Leaves) was completed by Otomo no Yakamochi and others. 784 Emperor Kanmu moved the capital to Nagaoka-kyō. 794 Emperor Kanmu moved the capital to Heian-kyō. 797 Sakanoue no Tamuramaro became shogun. 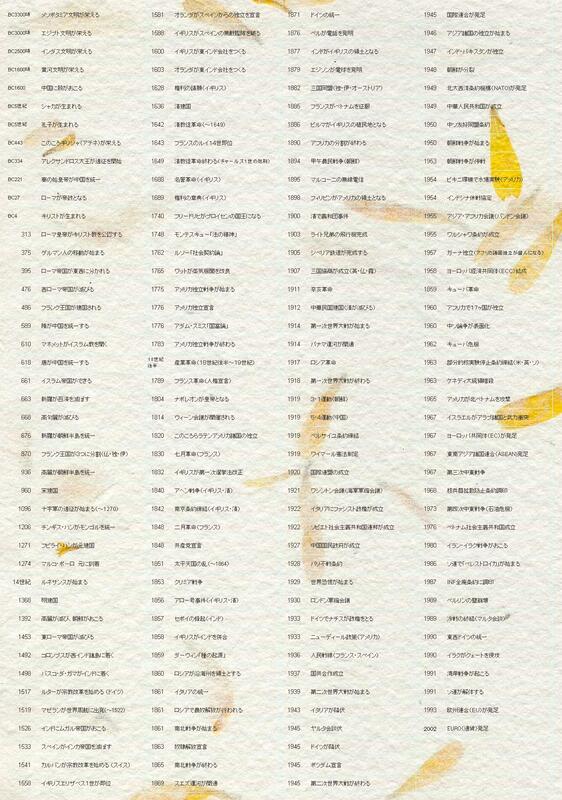 802 Aterui surrendered to Imperial armies. 804 Saicho went to Tang. Kukai went to Tang. 805 Saicho returned from Tang and introduced Tendai School. 806 Kukai returned from Tang and introduced Shingon School. 858 Fujiwara no Yoshifusa became Sessho. 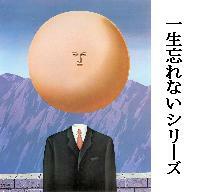 884 Fujiwara no Mototsune became Kanpaku. 894 Sugawara no Michizane proposed for stopping sending embassies to Tang China. 901 Sugawara no Michizane was exiled to Dazaifu. The Tale of the Bamboo Cutter was written. 905 Emperor Daigo ordered Ki no Tsurayuki to edit Kokin Wakashū. 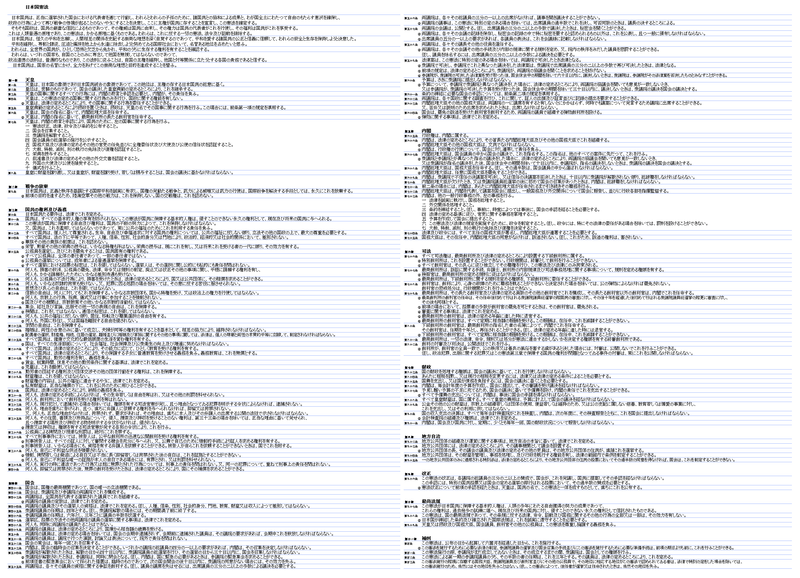 988	FUJIWARA no Motonaga was accused. Sei Shōnagon wrote The Pillow Book. Murasaki Shikibu wrote The Tale of Genji. 1016 Fujiwara no Michinaga became Sesshō for Emperor Go-Ichijō. 1017 Fujiwara no Yorimichi became Sesshō. 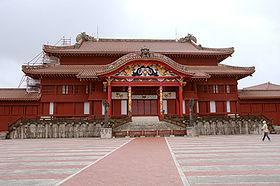 *He built Byodoin phoenix hall,located in Uji in 1053. 1069 Emperor Go-Sanzyō anounced Enkyu-no Shoen Seiri-rei(Order for the Reform of Shoen). 1086 Retired Emperor Shirakawa started Insei. 1124 Fujiwara no Kiyohira built Golden Hall (Konjikidō) of Chuson-ji Temple. 1167 Taira no Kiyomori became Daijō-daijin. 1180	Genpei War started *Minamoto no Yoritomo took up arms. 1181	Taira no Kiyomori died. 1185	Minamoto no Yoritomo established Shugo and Jito. 1192 Minamoto no Yoritomo became shogun. 1203 Minamoto no Sanetomo became the 3rd shogun. 1203 Hōzyō Tokimasa became shikken. 1205 Retired Emperor Go-toba ordered Fujiwara no Teika to edit Shin Kokin Wakashū. 1219 Minamoto no Sanetomo was killed by Kugyō. *Retired Emperor Go-toba was exiled to Oki Island. 1232 Hōzyō Yasutoki established Goseibai Shikimoku(Jōei Shikimoku). *1324 Shōchu Rebellion *Emperor Go-Daigo failed to overthrow the Kamakura Shogunate. *1331 Genkō Rebellion *Emperor Go-Daigo failed . *In 1332 He was exiled to Oki Island. ･Emperor Go-Daigo escaped from Oki Island. ･Kusunoki Masashige supported Emperor Go-Daigo. ･Ashikaga takauji destroyed Rokuhara Tandai. ･Nitta Yoshisada destroyed Kamakura Shogunate. 1334 Emperor Go-Daigo launched Kenmu Restoration. May 15 Incident* Prime Minister Inukai was killed. 1933 Japan left the League of Nations. *It was an agreement between Germany, Japan and Italy. 14th Japan accepted the Potsdam Declaration. 1948 Korea was split into the North and the South . 1954 Daigo Fukuryū Maru was exposed to nuclear fallout. 1964 Tōkaidō Shinkansen opened between Tokyo & Shin-Ōsaka. 1968 Ogasawara Islands was returned to Japan. 1972 Okinawa was returned to Japan. *Former-Prime Minister Kakuei Tanaka was arrested. 1869 Emoeror Meiji moved the capital to Tokyo. 1871 Postal service began between Tokyo,Kyoto and Osaka. 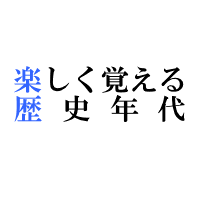 Domains were replaced with prefectures. Fukuzawa Yukichi wote Gakumon no Susume. Railway service began between Tokyo and Yokohama. Tomioka model filature began production. 1874 Itagaki Taisuke published the Minsen Giin Setsuritsu Kenpakusho. 1875 Itagaki Taisuke founded Aikokusha. Itagaki Taisuke formed the Liberal Party. 1882 Okuma Shigenobu formed the Constitutional Progressive Party. *1882 Ito Hirofumi visited Europe to study the constitution. 1885 The cabinet system was set up. *Ito Hirofumi became Prime Minister. The first Lower House general election was held. The first Imperial Diet was opened. 1895 The Treaty of Shimonoseki was signed. 1898 The first Okuma Cabinet(so-called the 'Waihan Cabinet') was established. 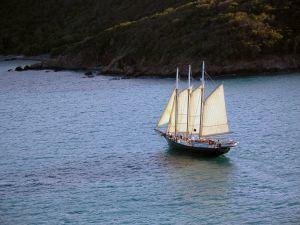 1905 The Treaty of Portsmouth was signed. 1909 ITO Hirobumi was murdered in Harbin. 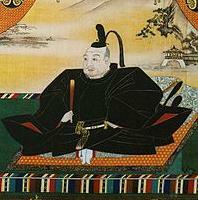 1603 Tokugawa Ieyasu became shogun. 1605 Tokugawa Hidetada became the 2nd shogun. 1624 Spanish ships were prohibited from visiting Japan. 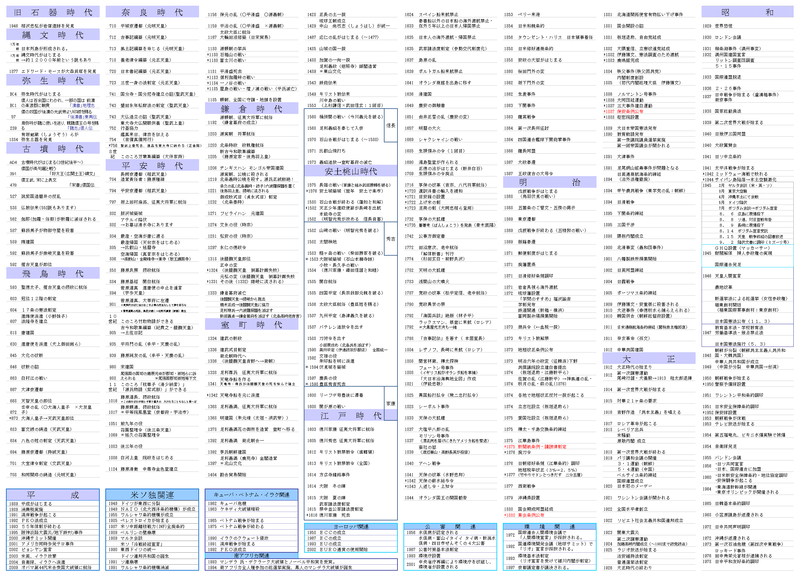 1633 Travelling overseas other than by shuin-sen were prohibited. 1635 Travelling overseas and homecoming of Japanese ships were completely banned. 1635 The policy of Sankin kōtai was established. 1639 Portuguese ships were prohibited from visiting Japan. 1641 The Dutch trading house was moved to Dejima. *the national isolation system was completed. *Yui Shōsetsu was leader of Keian Uprising. 1716 Kyōhō Reforms *Tokugawa Yoshimune became the 8th shogun. *1735 Aoki Konyō wrote the Banshokō. 1772 Tanuma Okitsugu became senior shogunal councillor. 1774 Kaitai Shinsho was published by Sugita Genpaku and Maeno Ryotaku. *Matsudaira Sadanobu became senior shogunal councillor. 1792 Kaikoku Heidan written by Hayashi Shihei went out of print. 1792 Adam Laxman arrived at Nemuro. 1798 Motoori Norinaga wote the Kojiki-den (Commentaries on the Kojiki). 1804 Nikolai Rezanov reached Nagasaki. 1808 Mamiya Rinzō discovered Sakhalin was indeed an island. 1821 Inō Tadataka completed the first map of Japan. *1842 Mizuno Tadakuni permitted providing foreign ships with fuel and water. 1844 King of the Netherlands proposed the opening of a country to the world to the Edo Shogunate. 1853 Mathew Perry visited Uraga and asked Japan to open the door to USA. 1856 Townsent Harris has been appointed consul-general in Japan. *Ii Naosuke was killed by ronin from the Mito Domain. *Ando Nobumasa was attacked outside Sakashita-mon Gate. 1863 Chōshū han bombarded French, Dutch and American warships at Bakan Strait. 1864 British, French, Dutch and American warships bombarded Shimonoseki. *1582 Tensho Ken-o Shonen Shisetsu departed. *Toyotomi Hideyoshi defeated Akechi Mitsuhide. *Hideyoshi made peace with Nobukatsu Oda, Ieyasu Tokugawa. 1585 Hideyoshi became Kanpaku(chief adviser to the Emperor). 1590 Hideyoshi defeated Hōzyō Ujimasa at the Battle of odawara, and Masamune Date in Oshu. *Hideyoshi united a whole country. Hideyoshi started the trade by Red seal ships. *1598 Toyotomi Hideyoshi died . 1600 De Liefde arrived at the province of Bungo. 1336 Ashikaga takauji established Kenmu Shikimoku. 1336 Emperor Godaigo escaped to Yoshino and established the Yoshino Imperial Court. 1338 Ashikaga takauji became shogun. *1341 Ashikaga takauji made Tenryujibune. *1342 Ashikaga takauji sent Tenryujibune to Yuan dynasty. 1368 Ashikaga Yoshimitsu became the 3rd shogun. 1378 Ashikaga Yoshimitsu built the Hana no Gosho (Flower Palace) on Muromachi street in Kyoto. 1392 The Northern and Southern courts were unified by Ashikaga Yoshimitsu. 1397 Ashikaga Yoshimitsu built Kinkaku. 1404 Ashikaga Yoshimitsu opened trade between Japan and the Ming Dynasty. *It is called tally trade. *1477 Kyoto has been completely destroyed. 1489 Ashikaga Yoshimasa started building Ginkaku. *Oda Nobunaga defeated Imagawa Yoshimoto. 1568 Nobunaga entered Kyoto supporting Ashikaga Yoshiaki. *At a later time, Yoshiaki became the 15th Shogun. 1573 Ashikaga Yoshiaki was exiled from Kyoto by Nobunaga. * Japan joined WW I on the side of Britain and her allies. 1915	Japan sent the 21 Demands to China. 1916	Sakuzō Yoshino wrote about the theory of democracy. 1918	Japan sent troops to Siberia. Hara Takashi became Prime Minister. Peace Preservation Law was passed. General Election Law was passed.